The Reebok Women’s Training 2 x 2kg softgrip hand weights offer more weight to increase the resistance and intensity of your aerobic workout sessions. 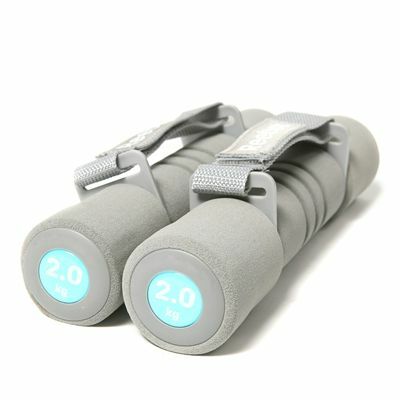 In this set are two fitness dumbbells that each weigh 2kg (4.4lbs) and can be gripped confidently and comfortably and secured via the adjustable straps. The soft weights are covered in foam and made to enhance workouts by increasing muscle mass, bone density and calorie burn and improving your cardiovascular health. for submitting product information about Reebok Womens Training 2 x 2kg Softgrip Hand Weights We aim to answer all questions within 2-3 days. 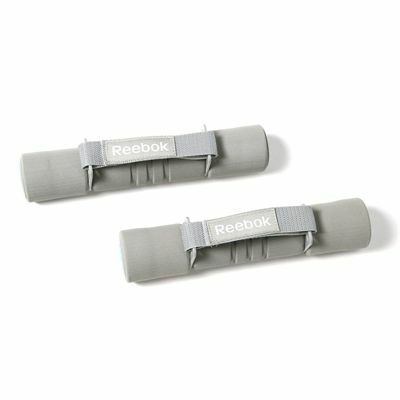 for submitting product information about Reebok Womens Training 2 x 2kg Softgrip Hand Weights. We aim to answer all questions within 2-3 days. If you provided your name and email address, we will email you as soon as the answer is published. for submitting product review about Reebok Womens Training 2 x 2kg Softgrip Hand Weights.